IFS (Integrated Furling System) is the latest in OneSails technology, allowing for the development headsails that can be furled without the use of an anti-torsion cable. 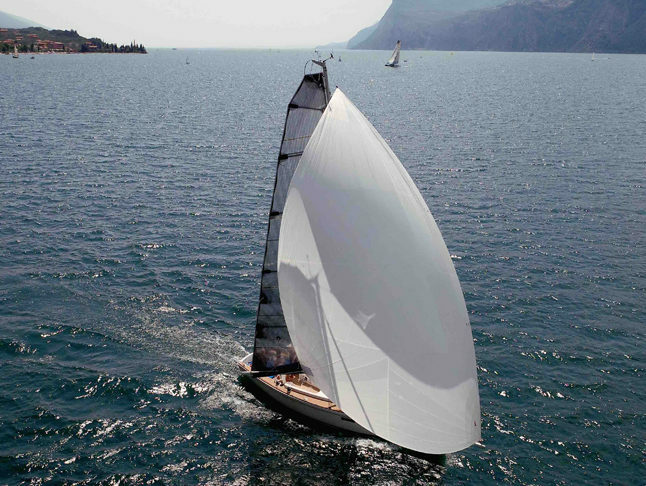 The IFS System, based on a continuous structural fibre technology, just one of the trademark details at the heart of OneSails’ creations, improves the shape of the sail and thus its performance while also making it easier for it to be hoisted and furled. The IFS System also allows users to reduce the workload on the halyards (roughly 35% less than that for a sails with an ant-torsion cable) with significant benefits in terms of equipment and safety. OneSails applies the IFS system to a variety of different kinds of sails, from Code O to nylon gennaker.